The Gaston County Sheriff’s Office assigns deputies to maintain order and control in Gaston County’s 262,000 sq. feet Courthouse. 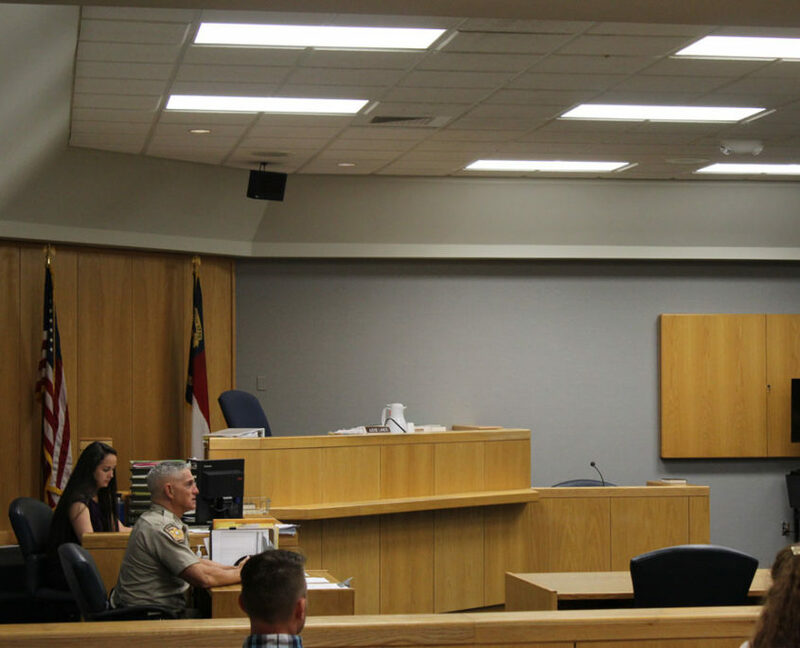 There are nine district courts and three superior courts that require one or more sworn deputies at all times. 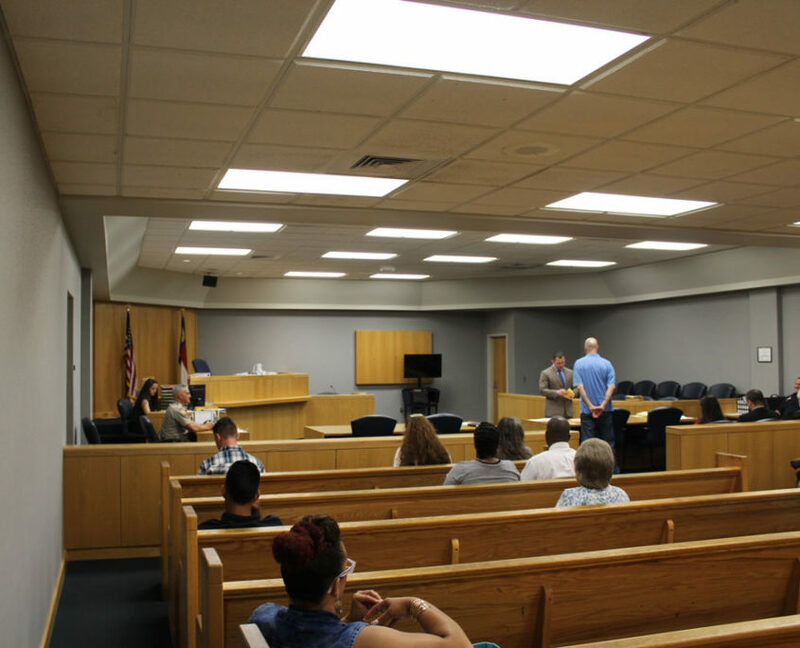 Deputies also perform other functions within the courthouse such as security screenings, interior and exterior patrols of the courthouse and its surroundings, inmate movement, serve criminal warrants and civil papers, and fulfill orders of the court. The security of the Gaston County Courthouse begins at the front door. People entering the courthouse must place all handbags, briefcases, and items in their pockets on a table or in a basket to be searched. As the person’s possessions are being checked, he/she must step through the metal detector. Many different items may activate the alarm. It is not unusual for people to be scanned with a handheld detector. Pocket knives, pepper spray, firearms or any item that could be used as a weapon will not be allowed in the Courthouse. The Sheriff’s Office will not store any items for any person. Any property left or surrendered will be considered abandoned and is subject to being destroyed. Persons in possession of weapons that constitute carrying a concealed weapon (N.C.G.S. 14-269) or possession of a weapon on courthouse property (N.C.G.S. 14-269.4) will be prosecuted. All counties have the capability to post their criminal district calendars to the web, but some may not have adequate staff or time to perform this service. Some counties also include criminal superior calendars. Only a few have the capability to post civil calendars. If you have a question regarding the calendars for a particular county please click the link for information on how to contact the Clerk’s office.